Our two house managers at La Résidence Paris provide also a butlering service at the villa. They will be here to reply to all you requests. Security agents can be scheduled for a full time presence. 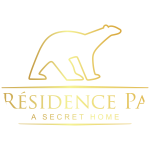 An apartment is located inside of the property to always keep an eye on La Résidence from their security officer post. The property is in discrete and quiet location. You can enter by a private access to the shelter of the glances. World renowned for its gastronomy, France welcomes many talented chefs from all over the world. They are able to come to the Residence Paris to prepare you the type of specialties that will please you. At the Résidence Paris, you can discover delicious white wines and rosé from our winery in Provence. Our wine won the silver medal 2016 in Paris of the best wines, with an aroma so particular that will delight your taste buds. From the vineyard of the Château de Saint-Médard to the Tour d'Aigues in the Luberon, these wines benefit from an optimal micro-climate with mild winters and hot summers. Passionate about oenology, the owner of the Résidence wished to store a wide range of quality products, from classic wines to the most prestigious vintages. This selection also comes from his private collection. Our drivers can bring you to any destination in comfort and safety, even outside of Paris. We can also provide you with electronic bicycles, scooters, motorcycles as well as VTC Blackbird with Tesla if you need a ride all day long.